If you lucked out this holiday season, somebody showed you love by sending you an Art of Tea gift card. Not going to lie, we’re a little jealous. There are so many amazing teas in store for you! So where should you start? We’ve picked out our 5 favorite buys for anybody with an Art of Tea gift card burning a hole in their pocket. All tea (white, green, oolong, black, and pu-erh) comes from the same plant — Camellia sinensis. All teas start out as fresh green leaves before being processed into a specific tea type. It is the cultivated and processed leaves of this plant that create the second most consumed beverage in the world. Camellia sinensis is a subtropical/tropical evergreen plant native to Asia, though commercially grown all over the world. It takes between 5–7 years before the plant has matured enough to be used in the making of tea, and can be cultivated for more than 100 years. In every pound of finished tea, there are 4.5 pounds of freshly plucked tea leaves, which equates to about 2–3 thousand shoots. There are five major tea types produced — white, green, oolong, black and pu-erh. It is the processing of the tea at origin that determines which type of tea the freshly plucked leaf will become. During processing, the leaf’s enzymes are exposed to oxygen. This chemical reaction, or oxidation, can transform the green leaf into the many shades of green to brown to black. Oxidation is the processing step that has the greatest impact when determining the tea type. Oxidation is sometimes incorrectly referred to as fermentation. An apple’s flesh turning brown after being cut and the leaves on trees turning colors in fall are both examples of oxidation. White teas are so named due to the white down that covers the new leaf buds. Traditionally, white teas came only from the Fujian province of China. However, today, any tea that follows the white processing method is considered white tea. White tea is closest to the natural tea plant. Processing methods of white tea do nothing to encourage or stop oxidation. The natural bruising of the leaf during harvesting and transportation allows oxidation to start on part of the leaves. This produces subtle aromatics, taste and color. Green teas traditionally came from China and Japan; however, the processing methods of each are radically different and produce completely different tea aromatics and taste. Today, green tea comes from most tea producing countries due to its popularity, but is still defined by which processing method was used. Green teas need to keep their fresh green color, for this to happen, oxidation must be limited. Heat is applied to the leaf to arrest oxidation. In China, the heat source that is applied is referred to as pan firing. Due to this, Chinese green teas tend to have a nutty, smoky vegetal taste. In Japan, steam is used as the heat source, thus, Japanese green teas have a brighter emerald leaf color with a more seaweed, fresh taste. Oolong teas, sometimes referred to as wulong or blue tea by some creative marketers, is the huge bridge between green and black teas. Oolong teas can be as green as green teas and as black as black teas. Oolongs are sub-categorized by the amount of oxidation and leaf shape. Traditionally, oolongs come from China and Taiwan (Formosa), and still today are the major producers of these teas. Oolongs are prized for their complex aromatics and flavor, as well as their ability to be steeped several times. Greener, less oxidized oolongs tend to have more floral notes; mid-oxidized oolongs tend to have more stone fruit notes; and darker oolongs tend to have more nutty, woody notes. Pu-erh teas historically come from the Pu-erh region of China — though other areas of China produce a similar style tea. Many tea companies refer to this category of tea as dark tea due to its rich and dark brew. Dark teas are aged teas which subjectively become better with age and will fetch a higher price the older they become. Oxidation is never fully arrested so the teas become darker over time. Traditional pu-erh teas can take up to 5 years before they are palatable, with many consumers wanting 10–15 year-old teas. These teas are referred to as uncooked teas. To speed up the process some producers add microbes to the tea so that in 1–2 years the tea tastes like it has aged longer. These are referred to as cooked teas. The taste difference between these 2 styles of tea is vastly different. Cooked teas tend to be more earthy, wet farm, and musty in flavor; while uncooked teas tend to be more earthy, spicy and smooth in flavor. No matter which tea type is your personal favorite, all teas start out as a fresh green leaf of the Camellia sinensis plant. The processing and control of oxidation determines which flavors and tastes are developed for you to enjoy. Did you know that you could use tea to potentially improve your health without actually drinking it? The crazy thing is that the tea leaf is so chock-full of healthy antioxidants that its healing powers can be tapped into without even ingesting it! How? Here are a few ways you might have never even considered. What’s more relaxing than tea? A warm bath, maybe. What if you could combine the two? Adding six to eight bags of green tea to hot bath water is a great way to take advantage of your tea bags without sipping it. All you have to do is add the tea bags to your bath about 30 minutes before you are ready to get in. Just be sure to fill the tub with water hotter than you want it to be when you want to actually get in — that way, the tea will steep better and it will still be warm after you wait. This stress-relieving bath will help soothe any aching muscles you may have as well as any skin conditions or open wounds. The vitamins in green tea can also help to keep your skin soft and youthful-looking. To make this an extra special experience, try lighting some candles and putting on your favorite relaxing music: You’ll feel like a new person in no time at all. Lack of sleep, stress, sickness, and hangovers can make your eyes look sleepy. Once again, tea is here to save the day. All you have to do is steep two green or black tea bags in hot water for about five minutes. Squeeze out all the water from the tea bags then place them in the fridge for about 15 minutes (or until they are nice and cool). Then, find a relaxing spot to lay down with your face up and place the cooled tea bags over your eyes. Make sure to cover the area under eye (as that is the usual source of most puffiness). In 15 – 30 minutes, take off the tea bags to reveal beautiful and sparkling eyes. While tea may be your taste bud’s best friend, peppermint tea can be a great friend to your entire mouth for a number of reasons. Want youthful-looking, glowing skin? If so, you should definitely consider adding tea to your skincare regimen. All you need is a paper towel and some cool green tea: Soak the paper towel in tea and squeeze out any extra. Then, lie down and apply the cool towel to your face, pressing around the curves and into the crevices. Rest the towel on your face and allow the tea to absorb into your skin. Do this for about 20 minutes. The antioxidants can help keep your skin looking youthful and help balance the hormones that cause acne. For example, you can use green tea with castile soap and olive oil to make a shampoo for your hair. You can even jazz it up with some sweet smelling jasmine or rose petals! The next time you feel like cozying up with a nice warm cup of tea, don’t forget about all the different ways you can use it without drinking it. Are You a Tea Rookie? Do These Three Things! Jumping into tea culture can seem intimidating, especially when you’re enjoying high quality teas like you’d get from Art of Tea. It’s easy to assume you can prepare and drink these teas like you would an average tea from a grocery store – microwave water, submerge the tea bag indefinitely, and sip. To get the best results from Art of Tea, you’re going to need a bit more artistry with your tea. Follow these three simple steps to enjoy luxurious cups of tea time after time. 1. Store your tea correctly. The key to long-lasting, flavorful tea starts with proper storage. Tea is sensitive to three elements: light, heat, and humidity. You can protect your tea from these elements by keeping your Art of Tea products in an airtight container. Not sure where to find an airtight container? It’s easy! We’ve already sent you one! Every Art of Tea product is shipped in either an airtight, resealable pouch or an airtight tin. Just keep your products in this packaging when not in use and your tea will last a long time. You should also take care to store your container somewhere cool, dry, and out of sunlight. It’s probably not the best idea to keep your tea next to the oven or the stove, but a clear spot in the cupboard is perfectly fine. Tea also has odor and moisture-absorbing properties. Take that into consideration when choosing a place to store your tea, too. 2. Pay attention to what water you’re using. 98% of brewed tea is water. While that other 2% packs quite a flavor punch, it’s still crucial that you use clean, filtered water. Using tap water or low-quality water can negatively affect the flavor of your tea. Water quality issues are easily avoided. Use clean water sources or filtration systems to ensure great-tasting tea. For more information on sourcing the best water for your teas, you can read our blog post on water quality. 3. Follow the preparation instructions. Tea is a delicate, but forgiving plant. That’s why we provide instructions for preparing each tea on the packaging. You’ll notice that every tin or resealable pouch has information for how much tea to add, what temperature water to use, and how long to steep. You should look at these preparation tips like strong recommendations. We highly suggest you prepare your tea as closely to these guidelines as possible, but your tea won’t be completely ruined if you can’t get your water to the exact temperature or if you over-steep by a minute. If you’re using our Eco Pyramid Teabags, you don’t need to worry about measuring out the correct amount of tea. We’ve done it for you. If you’re using loose leaf teas, we recommend using the Perfect Tea Spoon and our Art of Tea Filter Bags to prepare suggested servings of tea. Preparing tea correctly should be an enjoyable, relaxing process. With enough practice, you’ll begin to see tea preparation as a period for meditation and methodology in no time. Guys – Want to Find Your Perfect Tea? Tea is a powerhouse that’s long believed to improve things like exercise performance while potentially preventing disease and even providing anti-aging benefits. And for men, the value of drinking tea is enormous. But guys usually aren’t the first to ask for a cup of tea. (We get that.) Here’s why you ought to drink more and why tea might be the best gift you could ever give your body! Earthy and smooth, you can’t go wrong with this juggernaut. One sip of this tea and you’ll feel the wave of relaxation, calm, and peace of mind from this ancient tea. Green tea is also high in antioxidants called polyphenols as well as flavonoids, catechins, and amino acids, which is believed by many to fight heart disease, stroke, respiratory disease, and liver disease (some of which men are more at risk for). We highly recommend our award-winning Green Pomegranate Tea, which includes organic raspberries and pomegranate to give your body extra nourishment. This tart and fruity drink is known for its deep magenta color and is packed with vitamin C. But men shouldn’t underestimate this pink drink — this beautiful tropical flower offers anti-inflammatory properties and could even help with weight loss. Enjoy our certified organic Hibiscus Cooler tea, which offers smooth notes of lemongrass, perfectly balanced by the natural sweetness of our fresh stevia leaves. Oolong is as rich in antioxidants as it is diverse in flavor profiles, ranging from buttery to chocolatey to nutty. The body and complexity of this tea also sets it apart, falling between springy green tea and malty black tea in strength. Indulge in our super delicious and organic Peach Oolong tea for a great fruity, yet woodsy flavor profile that will be sure to blow you away (especially on those hot summer days). Recognizable by its distinct red color, rooibos is made not from a leaf but rather an herb grown exclusively in South Africa. This versatile tea boasts a smoky and sweet flavor that can’t be beat. If you’re not quite a tea drinker (yet! ), we suggest our organic and fair-trade certified Rooibos tea for a sweet, mellow, and creamy flavor that can’t be beat! Earning its nickname “the champagne of teas” for being grown in the Darjeeling district in the Himalayan foothills, it’s flavor varies from strong and fruity to light and floral, depending on when the leaf is picked. It includes complex compounds that are believed to protect against stomach ulcers — which are more common for men — and promote weight loss. Doesn’t sound half bad, right? Try our certified organic Darjeeling, winner of the “Best Black Tea” award at the World Tea Expo. Our select high-grown tea is hand-picked and offers a pink, light amber color, with a fresh floral and apple-like character and a slightly astringent finish. “Health-boosting bacteria” might not sound appealing, but this smooth and malty tea proves that wrong. Because of its long fermentation process before being brewed to drink, Pu-erh is believed to have ancient healing properties and improve the bacterial flora in the intestines. Try our certified organic Tea For Him, which is specifically engineered for guys. It helps to re-energize and enhance performance, especially after extreme exercise, and delivers a musky, sweet finish with notes reminiscent of sandalwood. 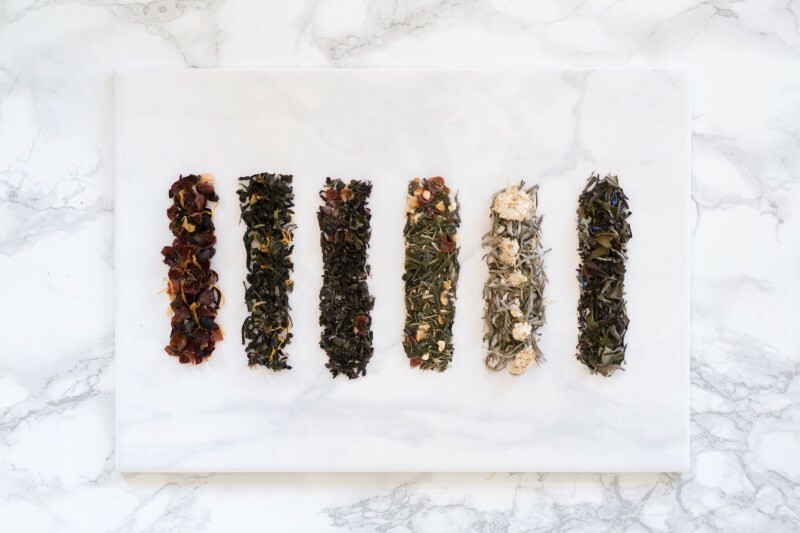 With each of these 6 teas supporting a different aspect of your lifestyle, it’s never been easier — or more delicious — to feel great and enjoy all the benefits from tea. Between the variety of bold flavors and the countless health benefits of these teas, what’s not to love? One of the absolute best ways to live a happier and healthier life is to exercise! Before your next workout, skip the energy drink or sugar-packed pre-workout supplement and get a natural boost of energy with a glass of quality tea. Instead of having that jittery feeling or “crash” that comes with artificially made beverages (or even too much coffee), you’ll get a nice, smooth increase of energy from tea that will help power you to your best workout ever. Here’s what you should know. To enhance your exercise experience, try drinking tea about 15 to 30 minutes before you actually begin working out. This will give your body a chance to adjust to the energy boost and give you time to feel truly prepared to work up a sweat. Then, once your exercise is finished, you can drink a little more tea to refresh yourself. Why? Well, if you work out in the morning before work, drinking some tea post-workout can help prevent feelings of fatigue and retain your energy levels so you can feel great throughout the day. When picking the right tea for your exercise, choose one that you enjoy naturally so you don’t have to add anything to it; putting sugary add-ons into your tea could give you a sugar crash later in the gym. If you’re serious about improving your health and staying in shape, try finding a nice tea to compliment your exercises. There are many more out there so feel free to sample as many as you like to get the best one for you. Your body will thank you and you will feel much better than you did with energy drinks and over-caffeinated beverages. Should You Mix Different Teas Together? Thus, if drinking tea is good for you, you might assume you can gain all of these benefits (and more) by combining different teas and creating new flavors. But that’s where some of the issues can come up. If you want to be your own tea mixologist, read on and understand how combining teas work. All teas are not created equal. Different types of teas often should be brewed at different temperatures and for different times. For example, black tea should be brewed at 206 degrees for 3 – 5 minutes. This ensures you get the optimal flavor, without the water actually burning the tea. Similarly, herbal blends should typically be brewed at the same temperature of 206 degrees Fahrenheit, but for 5 – 7 minutes; this lets you draw out the full array of flavors. But… if a black tea was brewed for this long, it would be burned and taste bitter. Also, it gets tricky when you add green teas because they should be brewed at a lower 180 degrees for only 2 – 3 minutes. If you exceed the burning point of a tea, you’ll burn it and release a harsh and bitter flavor. Also, if you brew it for too long, you’ll create intense, dark, and overbearing flavors. Conversely, if you use a temperature that’s too low, you won’t give your tea enough heat to extract all the flavor notes. The result might be a disappointing experience with bitter or bland profiles. Believe it or not, there are similar issues with mixing teas on the health benefits. If you follow optimal brewing times and temperatures, you’ll allow phytochemicals and polyphenols to flow from the leaves to the water. If the water is too hot, however, you might damage these properties, diminishing the associated health improvements. On the other hand, if you don’t brew long enough, you won’t give these chemicals enough time to move into your water. Consider these effects the next time you mix your teas — not only will you get the maximum health benefits and taste, but you’ll also match the right teas if you do want to combine flavors. Enjoy! Cardamom, a spice found in chai teas, is thought to pack a healthy punch. Check out some benefits of cardamom below. [Art of Tea makes no health claims to the stated information above. With the holidays only a few weeks away, chances are you will be needing hostess gifts, stocking stuffers or presents. We’ve compiled a list of our favorite Art of Tea gifts that are as thoughtful as they are delicious. Grab a travel gift pack for the friend who is always on the go, or a leather tea box sampler for the hostess who loves to serve dinner and dessert. Have a friend who is just discovering artisan tea? Gift them the tea sampler pack to help them find a new favorite. With so many options, you’re sure to find something for everyone on your list. Named after the wide straws used to consume their delicious bubble tea drinks, Fat Straws was founded in 2002 in Dallas, Texas by Terry Pham, who quit his IT job to try his hand at something new. His perseverance, dedication and optimism paid off and now he owns and operates two locations. Terry has even been featured by “Entrepreneur Magazine” as an entrepreneur who successfully launched a business during a recession. We’ve been working with Terry since 2006 so he’s one of our oldest and most valued customers – his clear vision, extensive knowledge and role as a trendsetter in his industry is inspiring and honestly, you just couldn’t find a nicer guy! My Mom worked as a Field Consultant for the Southland Corporation, parent company of 7-Eleven. So I practically grew up in the service industry. This is before Starbucks, so back then everyone got their coffee at 7-Eleven in the mornings. Whenever stores were struggling, they would send my Mom in to bring up sales and improve operations in the under performing stores. What always amazed me was that customers would follow her to the new store. People literally would go out of their way during their morning commute to give her their business because of the relationships she had developed. This had such an impression on me as a young man and it taught me to value relationships and the impact that people in the service industry can have on people. I was passionate about that relationship and knew that I wanted to be able to create and share experiences with people. That is what led me to Fat Straws. I remember the first time I had bubble tea and how it blew my mind. I obsessed over it and wanted to get one every day. There were few bubble tea stores here in Dallas and none of them were passionate about the customer experience and building relationships. I saw an opportunity and quit my full time IT job and decided to open Fat Straws. Twelve years later, here we are. It sounds like Fat Straws is a fun place to work. Can you tell us about your company culture? Our company culture is all about people. We take care of our customers, and we take care of each other. Because we are a small, privately owned business, every member of our team contributes to making our company run smoothly—from customer service to drink quality to all the smallest details that contribute to our unique Fat Straws identity. We are blessed to have a strong core group of individuals who can not only work hard, but also care about our customers and have fun in the process. Because we are a group of like-minded tea enthusiasts, we want our customers to experience and love bubble tea just as much as we do. We know it was a big decision for you to start incorporating hot tea in your menu. What was it about Art of Tea that helped you make the jump and how did the risk pay off? In 2006 I traveled to Las Vegas, and embarked on a quest to find the perfect wholesaler at the World Tea Expo. We had a three-day opportunity to meet with dozens of tea companies, try out their products, and find the right partner with whom we would build a long-term relationship. Amidst the hundreds of vendors, Art of Tea caught my eye. Steve and I had great chemistry; he made me feel as though we were old friends, he was passionate about his company, and he shared my passions for tea and lasting relationships. I knew immediately that Art of Tea was the company I wanted to partner with. Are there any exciting upcoming trends in the tea/drinks industry? We have featured several seasonal “mocktail” drinks that bring together some favorite non-alcoholic mixed drinks with the iced tea world. A few years ago we hand crafted a Moji-tea which was Moroccan Mint Tea, fresh muddle mint leaves, with mangos or strawberries. Another favorite is our Jasberry Iced tea, which fused the refreshing, floral taste of White Tip Jasmine with muddled strawberries, raspberries, blackberries and blueberries. As a group, we are continuously looking for creative and innovative ideas, as well as expanding on old ones. Part of the fun is to find new, exciting ways to transform our product into something that will surprise and excite our customer’s taste buds. Do you have a favorite milk tea recipe you could share with our readers? We are currently featuring a seasonal favorite, our Pumpkin Spice milk tea. It incorporates Art of Tea’s Pumpkin Pie rooibos tea, cream and just enough of Torani’s pumpkin sauce to highlight the notes of cinnamon, clove and ginger that make you feel as if you have harnessed the essence of autumn in a cup. Not only does it provide a delicious caffeine-free milk tea alternative for our customers, the authentic base of the rooibos tea allows for the natural flavors to shine through, as opposed to other beverage companies which just pile on seasonal flavored syrups to the drinks on their standard menu. When spring arrives, fans of this tea always lament its temporary loss. 1. Christine, can you tell us about your little cafe? Little Flower is my life’s dream. A tiny cafe on the edge of town, it’s where we gather to prepare and eat fresh, delicious food, drink strong coffee, listen to great music, and surround ourselves with art, neighbors, friends, and community. The cafe was born in 2007. Our menu has expanded to include soups, salads, bowls, quiches, tarts, breakfast dishes, and many baked goods. Now, Little Flower is a cafe as well as a bakery and candy-making operation, and many stores across the nation carry our salty caramels. 2. What’s the most popular item on your menu? That’s like asking me to choose between my children, I love all of them! We have a large menu, and many daily specials to choose from at the cafe. There is definitely something for everyone. I would say our Goddess Salad with butter lettuce, haricot vert, cucumbers, chopped egg, feta, and lemon thyme vinaigrette, and our Green Turkey Sandwich on whole wheat with garlic edamame spread, aioli, oven roasted turkey, arugula, cucumber, jalapeño, avocado, onion sprouts, and cilantro are two of our most popular. We make everything in-house from roasting our own roast beef, turkey, meatloaf made from scratch, to our delicious pastries. 3. What can your fans expect from your cookbook? My recipes are simple and approachable. I love the imperfection of food, and my hope with this book is to encourage home cooks to join me in honoring this imperfection. The goal is not to create masterpieces. It’s to have fun, keep it simple, keep it fresh, and don’t over think it. Make your cooking process enjoyable. Surround yourself with people who appreciate your efforts, then go for it. Play when you cook. And embrace the imperfections. Most of all, cook with love. It is the most precious ingredient. 4. Why did you choose Art of Tea as your supplier? We needed a change. We needed to fall in love with our teas and offer something to our customers that we knew was of the highest quality and a fantastic selection. After meeting with Charles (Art of Tea’s Director of Education) about our needs and then tasting, smelling, and loving the teas we knew it would be the right fit for Little Flower. Art of Tea provided great service, and great tea. It’s perfect. 5. Most importantly, which of our teas pairs best with your delicious salted caramels? When you have time to sit and are craving something warm and sweet it pairs well with Chamomile Clementine, but you can never go wrong with a savory Classic Black iced tea and a sweet & salty caramel for a quick afternoon pick me up. Looking for a treat to cool down with? Look no further. These Hibiscus Cooler iced tea popsicles are the way to go. Bright, tasty and refreshing, both you and your guests can enjoy these tempting delights. Even better, they have no added sugar and are a fun way to “drink” your iced tea. All you need are the ingredients below, and a little bit of time for the popsicles to harden. Enjoy! • Follow brewing directions as specified on the back of your Art of Tea Hibiscus Cooler box. Add 2 qt pouch to pitcher and fill with water. Place in fridge and let sit for 8-10 hours. • Pull out from freezer and enjoy! Show us how you are enjoying your Hibiscus Cooler Popsicles by tagging #MyTeaMoments. Your instagram could be featured on our blog! Happy Summer! With summer in full swing, we surveyed everyone at Art of Tea headquarters to bring you the ultimate summer playlist, perfect for a BBQ, a drive down the coast or, sipping iced tea with friends. Enjoy!